Phenolox (UPDATED 2019): Is It Safe and Effective? Phenolox: Is It Safe and Effective? Like many weight loss products currently on the market, Phenolox is a thermogenic booster designed to stimulate your metabolism and improve the way your body turns the calories you ingest, as well as the fat stored inside of it, into the energy you need to keep going. Of course, Phenolox is hardly unique in its claims, so why should we choose it over any of its competitors? 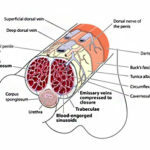 Unfortunately, Phenolox may not even be safe for use, so let’s take a closer look at this supplement and see what we can learn about it. Phenolox is produced by a supplement company known as Metabolic Nutrition. In addition to their own website, the company also maintains a separate website for Phenolox, which offers potential users information about the supplement and an online web store where they can purchase the product. It’s always good to see a supplement company selling its product directly to its customers so that you don’t have to rely on potentially shady third party distributors. Judging from this supplement’s ingredients, we can infer that Phenolox works much in the same way as most typical weight loss products currently flooding the market. In addition to ingredients capable of improving your blood flow and suppressing your appetite, Phenolox contains thermogenic stimulants, capable of improving the way your body converts the food you ingest into energy. As a result of Phenolox’s thermogenic ingredients, your metabolism is able to produce energy by burning the fat that’s already stored in your body, in addition to the fat, calories and protein you consume from food, leaving you with more energy and less body fat. Unfortunately, independent reviews written by consumers who have actually tried Phenolox are not unanimously positive. While some reviews indicate that Phenolox is actually capable of helping users lose weight, many people who have tried the supplement complain that they have not lost any weight at all. Clearly, the weight loss results that Phenolox promises are not guaranteed. Green Tea: widely believed to be able to benefit your metabolism, helping your body created energy more efficiently. Advantra Z: this generic form of Citrus Aurentium is commonly used as a substation for Ephedrine, a powerful but controversial and potentially dangerous prescription-stength drug. Unfortunately, due to the inclusion of a Bitter Orange Extract Advantra Z may not be any safer than Ephedrine; in the past it has been linked to products known to cause fatal liver complications, so it’s recommended that you use products containing Advantra Z.
Cyaenne Pepper Extract: many believe this ingredient to be capable of improving your body’s blood flow to better facilitate healthy and natural weight loss. Chromium Picolinate: this ingredient is allegedly able to suppress your appetite, apparently reducing your cravings for sugar in particular. Due to the inclusion of caffeine and various other stimulants, it’s quite likely that use of Phenolox will result in jittery side effects such as restlessness, anxiety, headaches and possibly even heart palpitations. Users of Phenolox should also be aware that one of the ingredients found in Phenolox known as Advantra Z contains Bitter Orange Extract, which has formerly been found in other weight loss formulas, use of which have resulted in at least one death as a result of liver complications caused by use of the supplement. 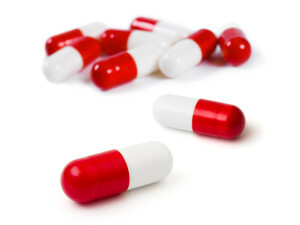 Users should be advised to take supplements containing potentially dangerous ingredients such as Advantra Z and Bitter Orange Extract. Phenolox can be conveniently ordered from the official website that Metabolic Nutrition maintains for the supplement. The official Phenolox website even features an address where customers who are not satisfied with the effects of the supplement can return the product (however, the address does not seem to be the actual address of Metabolic Nutrition). Not only is Phenolox’s formula not unique or particularly impressive, but it even contains potentially dangerous ingredients as well. Users should take Phenolox at their own risk. Due to the fact that Advantra Z is also feared to cause stroke and heart attack, users with preexisting conditions such as heart disease are advised to avoid this product altogether. 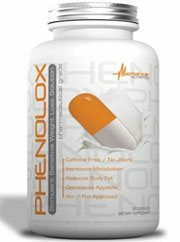 Phenolox is a weight loss supplement developed by Metabolic Nutrition and designed to suppress your appetite, improve your body’s blood flow and stimulate the way your metabolism burns fat to create energy. While most of the ingredients found in this stimulant’s formula are nothing but harmless stimulants, one of its ingredients is actually potentially dangerous: Advantra Z contains Bitter Orange Extract, which has previously been found in other health supplements the use of which resulted in fatal liver complications. Judging by consumer reviews, weight loss results are not guaranteed and due to potential side effects, users are advised to take this supplement at their own risk. Considering the facts that Phenolox’s results are unreliable and that its ingredients are even potentially dangerous, it’s difficult to recommend this product as your weight loss supplement of choice. Instead, you should look for a diet aid that will actually help you lose weight without possibly being detrimental to your health.